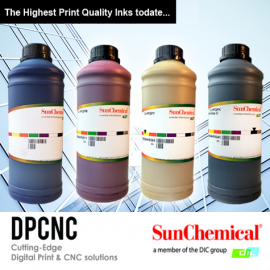 The market leading high print quality aftermarket inks from Sun Chemical available in 440ml Cartridges. Categories: Streamline® Ultima (Mimaki), Sunchemical Wide Format Inks. 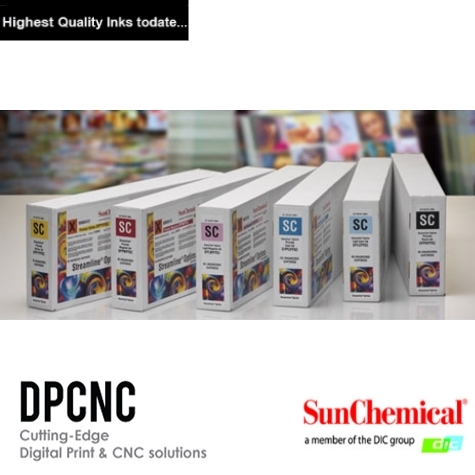 Switching to Streamline Inks from Sun Chemical could not be easier- Engineering support is available for all ink conversions.Contact our sales team today! The NEW Streamline Ultima HPQ ink range has been designed for use in solvent based wide format printers. This includes everything from photo labs, digital print shops, exhibition printers, graphic art bureaus, sign shops, screen printers to repro houses and commercial printers. The NEW Streamline Ultima HPQ has excellent adhesion to a very wide range of media which is commonly used in the sign and graphic markets. Streamline Ultima HPQ has been carefully matched to original products for both colour shade and strength, so customers can continue to use all existing settings when converting from original inks.